Happy Monday! It's a new week -- hopefully you will get lots of time to play with yarn this week. I'm going to have a little less time than normal . . . I've committed myself to a fairly large home decorating project this week. We are painting the living room, library, kitchen, Dominic's bedroom, dining area, a couple of hallways, and maybe even a couple of bathrooms. It's pretty intense. Especially since we are hosting guests pretty soon! 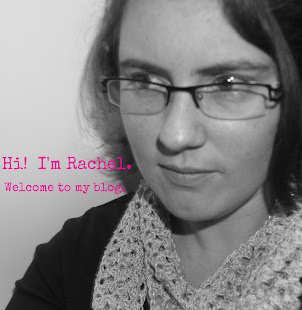 I will be taking some crochet and knitting breaks, this is me after all. 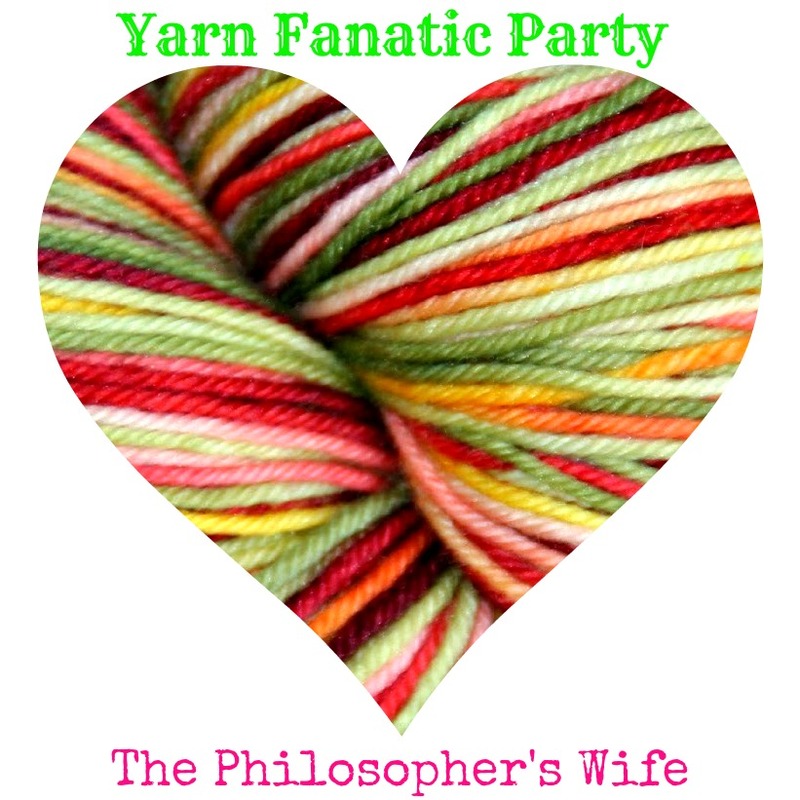 I loved looking at all of the projects linked up to last week's party! 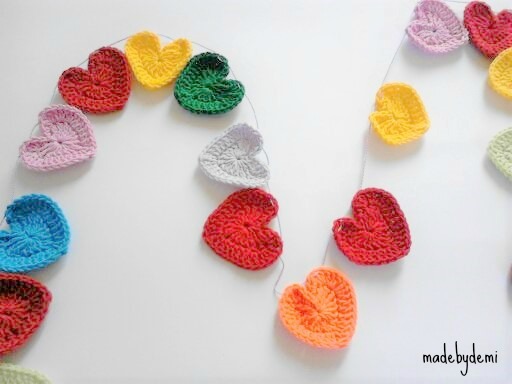 This heart garland by Made by Demi especially caught my eye. Isn't it adorable? It makes me want to drop my paintbrush and pick up my crochet hook immediately . . . . If I used fall colors it could be Thanksgiving decor, right? 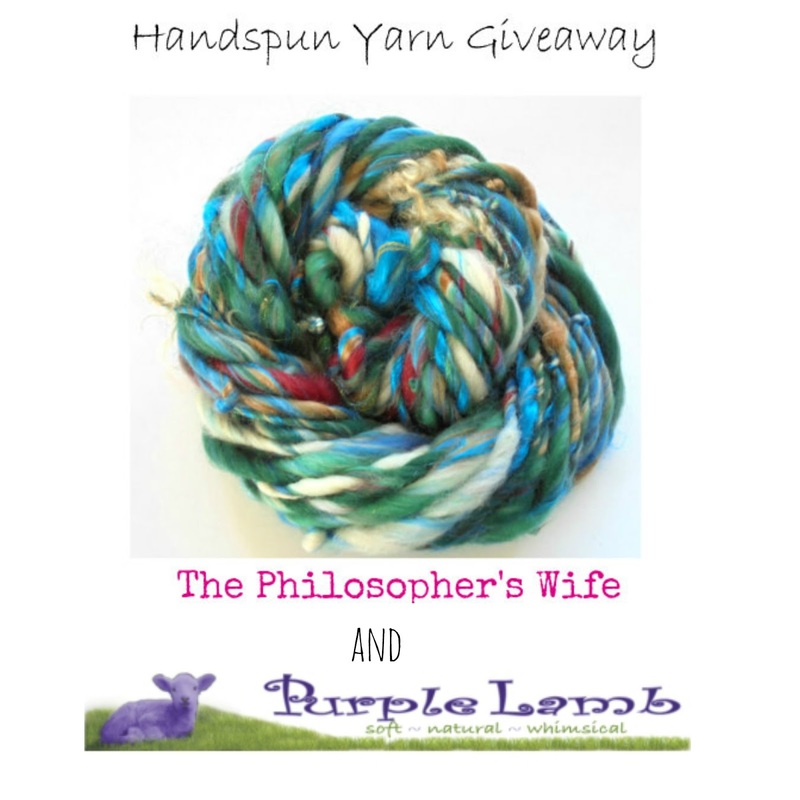 Don't forget to enter the handspun yarn giveaway before it closes on November 20, 2016. 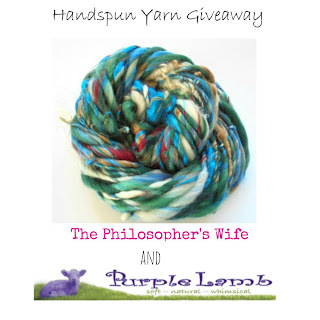 Link up any of your yarn projects! Actually, I guess there are two rules. The second rule is that your project must include yarn. Add a link to the Yarn Fanatic Party to your post or party page. By linking up you are giving me permission to share your photos here on the blog and via social media, with the appropriate credit, of course! Please do NOT link directly to a paid pattern. You may link to your blog, Facebook, IG, whatever, which in turn links to the pattern.